The Meat Products of India Dealers’ Association urges the state government to start modern abattoirs alongside farms to resolve stalemate in the sector. 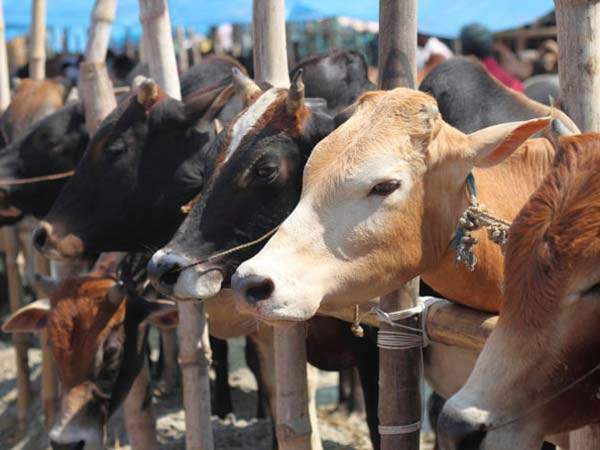 KOCHI: The Meat Products of India Dealers’ Association (MPIDA) on Wednesday urged the state government to start modern abattoirs in all the state’s districts alongside the farms situated on its unused land to resolve the stalemate in the sector following the Centre’s notification restricting sale and slaughter of cattle. The MPIDA said it supported the notification as it would stop the sale of aged, diseased cattle via markets and prevent public slaughtering of animals. MPIDA president M K Suresh also requested the government-run MPI to price its products reasonably and inform the public of any change in prices. “When Milma introduces a change in milk prices, it is informed via the media. But in the case of MPI’s meat products, the public does not get any such information. We have lost customers due to this as they discover the price is different from their earlier purchase,” he said. “For example, the price of 500 gm of Chicken Curry Cut was increased from Rs 110 to Rs 155 on Wednesday - an increase of Rs 90 per kg - without any intimation,” he said. He alleged the MPI imported modern equipment for the Rs 32-crore slaughterhouse without fully utilising its installed capacity first. “Even after the inauguration of the slaughterhouse, distributors who paid advance are not getting the products properly,” he said.